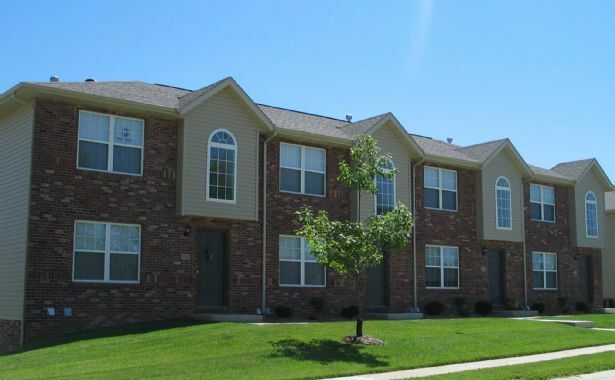 Two bedroom townhome rentals in Collinsville, Illinois near park! Please call (618) 346-7878 for availability. Main level: 2-story entry into living room, 1/2 bath, eat-in kitchen with pantry, sliding glass doors to deck. Access to stairs which lead to laundry room and 2 car garage. Upper level: 2 bedrooms, 1 full bath, master bedroom has walk-in closet, linen closet.